We’ve wrapped up our work on the living spaces in our home, so for Days 19 and 20 we are organizing paperwork and cleaning the home office. 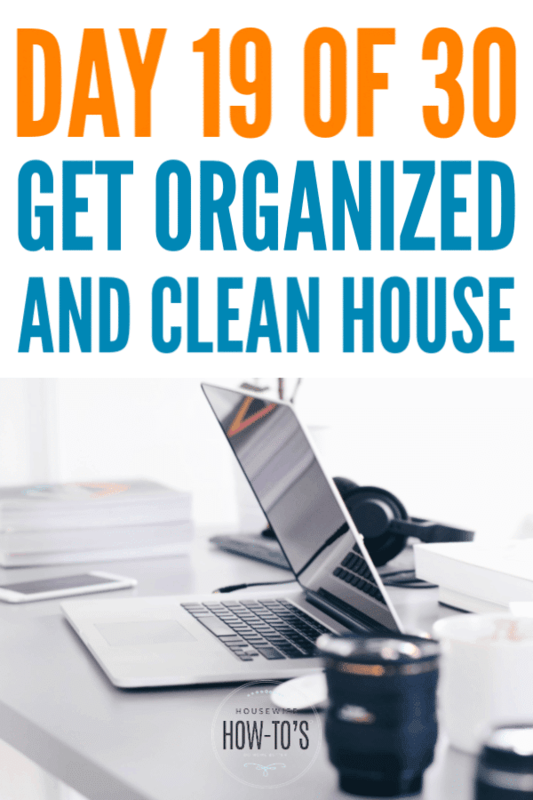 If you’re just discovering this free 30-day program, please see the series overview on how to get an organized and clean home. There you’ll find links to all of the previous days’ missions, so you can catch up. Ready to ROCK your home office? It’s easy to get overwhelmed by the sheer amount of paperwork that enters our homes. Knowing what to keep and what to toss is confusing at times, much less knowing what to do with the things you do decide to keep. That’s why this particular mission spends two days organizing paperwork. For many it will take that long. For some, it may take even longer. Go at your own pace, but don’t put it off — with tax season just around the corner, this one is a necessary mission! Removing clutter in this mission focuses entirely on purging unnecessary documents, the first step in organizing paperwork. While we’ve been ROCKing the living spaces in our homes, we’ve been grabbing things in various rooms that belong elsewhere and putting them away. So, your paperwork should all be in your home office now. If it’s not, grab it! Get your equipment ready. Gather all of your un-filed papers in a heap. Have a trash can next to you for stuff that can be thrown away as-is and a box for things to be shredded. You’ll be going through that mountain of paperwork and making immediate decisions, so keep both containers within reach. Step One: Identify the trash. A quick rule of thumb is to keep only what’s very difficult to replace. But, as with most quick rules about organizing, if it were that simple we would all be organized already! Unfortunately, we tend to overthink these things. When it comes to paperwork clutter, there are many things people hold onto needlessly. For brevity’s sake, things below that can go straight into the trash are designated with (T) and things you should shred are identified with (S). Does an electronic copy exist? If you can find information online or on your computer, for example, you don’t need to retain a paper copy. Is it strictly sentimental? In this digital age, it doesn’t make much sense to give up space in the home to sentimental things that can bring just as much joy in digital form. So, we’ve identified what you should keep and discard. Now it’s time to deal with the documents we’re keeping. Organizing paperwork takes a long time if you haven’t been keeping on top of it. Good thing this is a 2-day mission then, right? The following advice applies whether you’re filing paperwork digitally or physically — though I’d strongly encourage you to consider switching to digital storage if space in your home is at a premium. In addition to a good shredder, an inexpensive digital scanner has practically become an essential of modern life. Scanners can connect to a cloud service if you’re comfortable with that, or you can scan directly to your computer. Keep your computer and backup updated! Every computer operating system — Windows, iOS, even Linux — issues security patches and updates on a regular basis. If you digitize your files, it is vital that you also keep your computer updated, and that you back up your data regularly. Even if you don’t digitize, you should routinely update AND backup your system. Don’t just dump your paperwork all in one spot and call it done. Subdividing into files makes locating things easier, something that’s important if you have to quickly prove ownership or find your child’s immunization records. 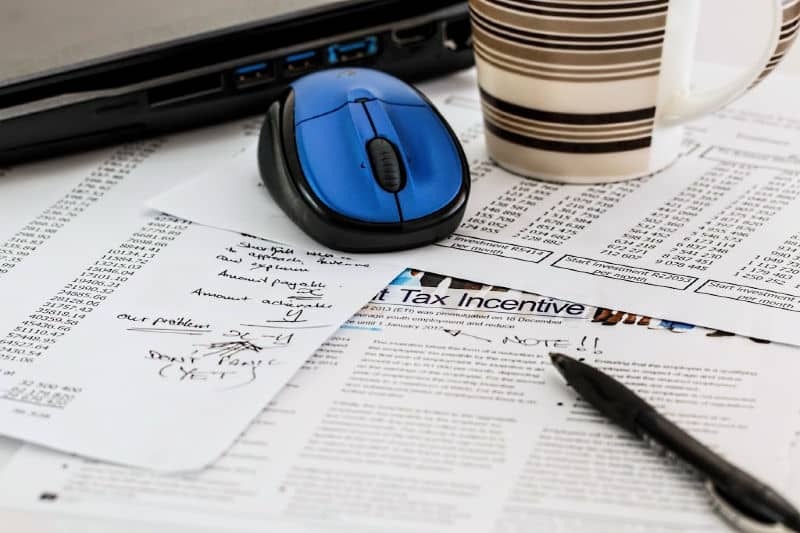 Financial: Bank statements (until year-end statement), tax returns, charitable deduction receipts, investment records, credit card statements, IRA or 401(k) contribution records, and 8606 forms, etc. Estate: Will, living will, living trust, medical directives, funeral plan, cemetery plot information, info about locating your computer and online passwords. NOTE: The documents in the Personal and Estate categories can be very difficult to replace. If you have a very large amount of such documents, a home safe might be a wise investment. Even a fireproof, waterproof document bag can keep your vital records safe and is a much less expensive option. 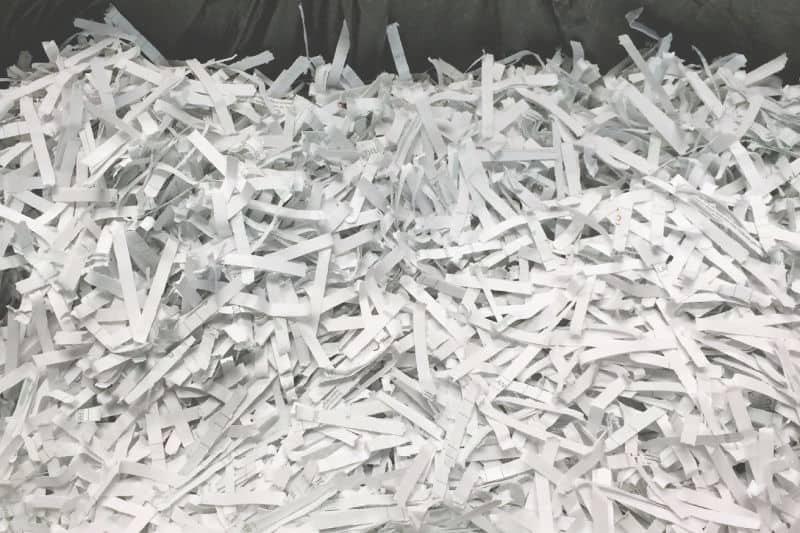 If you already have paperwork filed, go through each folder and throw away or shred items based on the information above. Holding onto paperwork longer than needed — even if it’s neatly filed — just adds to home clutter. Once you’ve filed everything you are keeping, get rid of the rest right away. Don’t plan to do it later — it’s clutter, so we’re not holding onto it! Tie up the trash bag and put it wherever you store trash until pick-up day. Then start shredding the sensitive stuff — you can even watch TV while you do it. Dump the shredder’s contents into another trash bag and put it with the other trash. Cleaning your home office should go pretty quickly once you’ve organized paperwork. Treat it as we’ve been doing with other rooms: if something doesn’t serve the function of the space (in this case: paying bills and filing paperwork), then it belongs elsewhere. Dust the ceiling walls, windowsills, doors, and baseboards. Dust lamps, lampshades, knickknacks, and tabletops. Vacuum or sweep and mop. Keeping on top of clutter and mess throughout the rest of the house is an ongoing daily part of this program. It is not about re-cleaning — we’re simply tidying areas we’ve already ROCKed. So, grab the Daily Routine and buzz through it — you’ll only need 15-20 minutes now. See You on Day 21! Remember, organizing paperwork and the home office is a 2-day mission covering Days 19 and 20. If you finish early, come join our Do Home Better Group on Facebook. I’d love to see how the plan is helping you transform your home! I just got the fore proof lock bag I didn’t know they made things like that. They’re so helpful, especially for those of us who don’t have room for a fire-resistant safe or couldn’t carry one home from the store in the first place.